IIT Bombay recruitment 2018 notification has been released on official website www.iitb.ac.in for the recruitment of total 08 (eight) jobs out of which 07 (seven) vacancies for Junior Mechanic, 01 (one) for Pre-Primary Teacher (Grade-I) vacancy. Job seekers should be register till 01st February 2018. 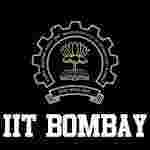 Here on this page you will get the details like the Name of vacancies released by IIT Bombay with exact number of posts. Some other criteria like Education details, application fee and way to apply application for IIT Bombay recruitment 2018. Educational Qualification: 3-year Diploma in Engineering in any discipline with relevant experience of two years after the diploma OR ITI in any trade with relevant experience of five years after the ITI certificate for S.no-1. Senior Secondary (10+2 or equivalent) from a recognized board with at least 50% marks, WITH Diploma in Nursery Teacher Education / Pre School Education /Early Childhood Education (DECEd) or equivalent of a duration not less than two years and having competence to teach in Hindi/English with teaching experience of five years after passing (10+2) OR Graduate degree with Diploma in Early Childhood Care and Education (ECCEd) or equivalent of a duration not less than one year and having competence to teach in Hindi/English with teaching experience of three years after passing the diploma or Diploma in special education (minimum duration of one year) from recognized Institute for S.no – 2. Fee charges: Applicants who wanted to participate for IIT Bombay should pay the below charges through online. Interested and eligible aspirants should apply online through the website www.iitb.ac.in on or before 01.02.2018.